A combination of medical and voluntary accident coverage is gaining popularity. Trevor Garbers has a ringside seat on sales of voluntary accident coverage. Jeff Culbertson, manager of product and market development at Unum in Chattanooga, Tenn., says his company’s numbers agree with that assessment. Unum launched its current accident product in 2004. The company saw $11 million in sales in 2005, $60 million in 2012, and $75 million in 2013. Part of that increase, Neyer says, is that more companies have started writing voluntary accident insurance. 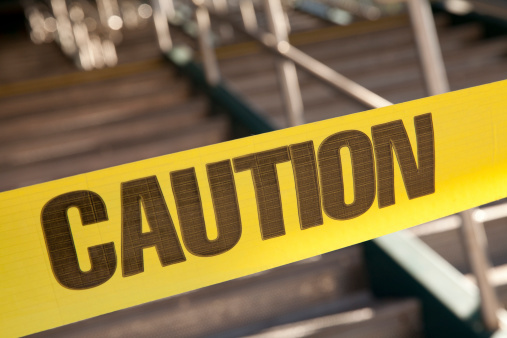 To see why, it’s important to first understand how voluntary accident coverage works. Coverage is typically very affordable, between $5 and $8 a week, deducted from an employee’s paycheck. “The plans typically have guaranteed coverage,” says Randy Finn, vice president of product development at Colonial Life, an issuer based in Columbia, S.C. “Coverage for a family might cost a little more than $5 to $8 a week, but you can get to a level where you have protection but you’re not paying a huge amount,” he says. The majority of plans pay a lump sum to covered individuals who sustain an accident. The injury and its treatment determine the payout. A minority of voluntary accident policies pay a proportion of the actual out-of-pocket costs of treating the injured individual. Beneficiaries can do whatever they like with the money. For those with less-robust plans — a group that often includes employees with health savings accounts—Culbertson says the cash can help cushion the financial blow represented by the out-of-pocket costs of medical treatment. Those with better core medical benefits might use the voluntary accident policy payout to improve their recoveries. The cash could pay for the airplane ticket that brings a friend or relative to stay with the recovering accident victim, physical therapy, a ramp or other accessibility tool, or even a down payment on a new motorcycle to replace one lost in a crash. Accident coverage is one of many popular voluntary products, industry insiders say. Voluntary products began a slow rise to popularity back in the 1990s, when employers began to realize that rising medical costs meant they could no longer pay for 100 percent of employees’ health care benefits, Culbertson says. In the wake of health care reform, voluntary products have really taken off. “We’ve gone from paying $5 to see the doctor to paying $30, or even $50. Health care has become much more expensive to the end user, and the growth of voluntary products has been astronomical,” Culbertson says. At the same time, however, some companies are beginning to pay for some or all of the benefit. “They want to position themselves as the employer of choice on the employer-paid basis. So employers are sometimes covering the cost of accident coverage, putting it into a core benefit offering,” Garbers says. LIMRA has been tracking this trend. “Traditionally, it’s on the employee to buy this, but that’s begun to change over the last few years,” Neyer says. LIMRA’s employer study on the matter, which it performs every four years, found that in 2002, 94 percent of companies that offered an accident plan expected covered employees to pay 100 percent of the premiums. In 2006, the same number was 83 percent. In 2010, 67 percent, or a third of all employers, paid some or all of the cost of voluntary accident coverage. Unum’s product evolution has tracked that trend, Culbertson reports. In 2004, the firm offered an individual benefits schedule. In 2011, it debuted a group-based product that has some employer-paid options. In addition to serving as a boost to employee morale, group offerings are often flexible enough to let employers offer plans that make the most sense, based on their overall health care strategies. “Maybe they have a PPO today but know that they’ll be on a high-deductible plan in five years. They might build an accident plan toward that high-deductible plan,” Culbertson says. Or if a firm is concerned about workers overusing emergency-room visits, they might change the amount that voluntary accident coverage offers to those who get emergency room treatment. “You could make the emergency-room and urgent care pay the same benefit,” Culbertson says, or limit the number of paid emergency room visits each year. A chance to coordinate voluntary accident coverage with a core medical plan is just one reason that employers like accident policies (and are increasingly willing to pay for them). There are a lot of other ways employers benefit when employees have accident coverage, Garbers says. For one, accident plans help employees access their core medical coverage benefits. “The fastest way to meet a deductible is through an accident. Once the deductible is met, the health care policy is much more accessible and has more traction,” Garbers says. A policy that pays the deductible opens that gate. Deductible coverage — in addition to disability and workers compensation — also reduces absenteeism, because it increases the likelihood that injured workers will get all the care they need to return to productivity. “When people don’t get treatment they often get worse, and then they don’t come to work,” Garbers says. Early detection also helps employees stay productive, and some voluntary accident coverage includes cash benefits for workers who get preventative medical care, Garbers says. Core health benefits and voluntary accident coverage work well together for employers; they’re also an increasingly popular tandem offering for insurers. Garber says some major medical coverage companies are also adding voluntary accident plans, while others promote an accident carrier as part of their overall employee education presentation. The carriers benefit when employees use one another’s offerings. They may also economize on administrative duties by “doing a single-billing, blended administration approach,” in which a company pays the larger insurer both premiums. That insurer handles the administrative functions, which are relatively simple in the accident/no accident world of most voluntary accident plans, and writes the second insurer a check.